Verse: Psalm 23:1 - The Lord is my Shepherd; I shall not want. Self-care and Manners: Say "You are Welcome"
- For next few weeks, the child will learn that Jesus is our Shepherd. 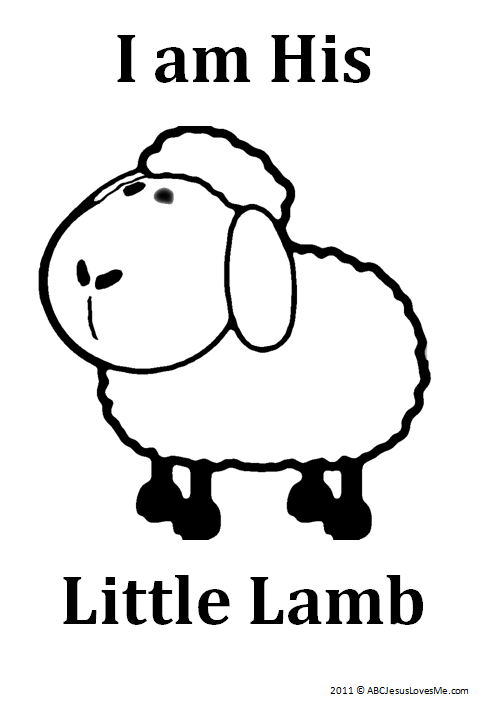 Collect all of the activities and crafts to form a "I am His Little Lamb" book. At the end of the study, a cover worksheet will be provided to bind the pages together. 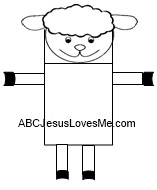 - Cut out the lamb pieces on the Lamb Puppet worksheet. Glue the head to the bottom of a white paper sack. Glue legs to the sides and opening (be sure to glue the legs so that the hand will not cover them up). Glue the tongue inside the fold. Roll thin strips of white paper around a pencil to curl and glue as wool on the lamb’s head. - Another option for the "Jesus is My Shepherd" theme is to use the story of the "Lost Sheep" found in Matthew 18:10-14, Luke 15:3-7. This story can also be found in The Beginner's Bible for Toddlers on page 120 or The Beginner's Bible on page 391. 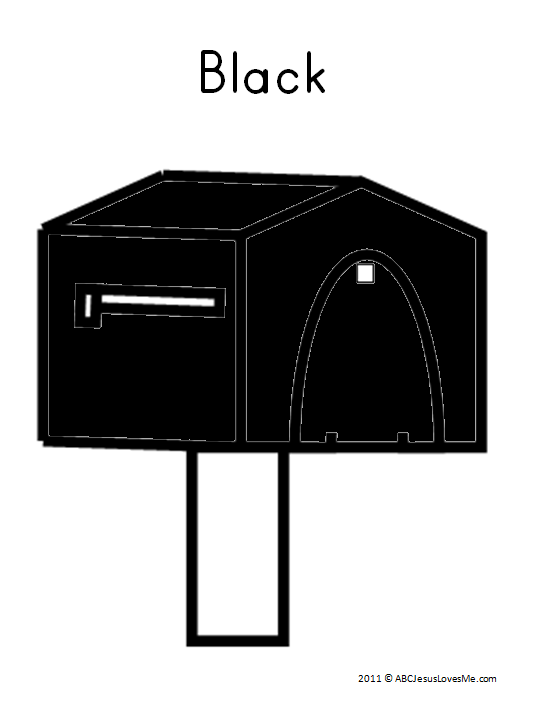 - Color one of the ABCJLM Black Worksheets with a black jumbo crayon. - Do a Color Walk: Walk around the house or neighborhood looking for the color black. 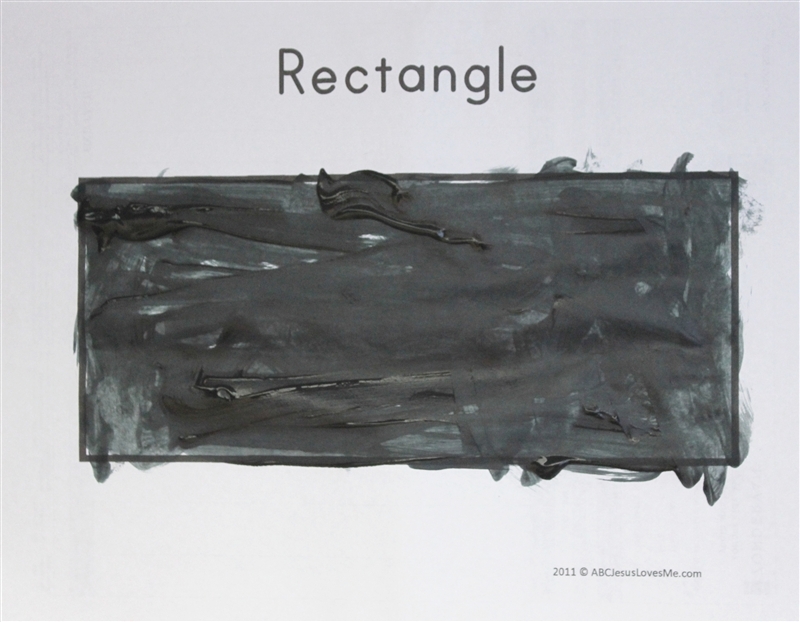 Color, paint, or draw on the Rectangle worksheet with the color black. - Do a Shape Walk: Walk around the house or neighborhood looking for rectangle. This week glue corresponding construction paper shapes (leaves, trunk, basket) to decorate the Apple Tree Number #6 worksheet. Add six apple stickers. Continue to count items throughout the day. Help the child remember to say "you are welcome" after thanks has been given. Saying this shows respect and acknowledgment of the thanks given. - Allow the child to guess what is playing peek-a-boo. - Play peek-a-boo behind different objects. While holding a pencil correctly, make vertical strokes. Teach the child to hold the utensil with his/her thumb and index finger while supporting it on the middle finger. Short pencils and broken crayons are best to start with if the child does not use proper grasp. Read some more handwriting tips. Some children will not be ready for this activity and that is okay. Continue to work on fine-motor activities to increase the child's fine motor control. Throw rolled socks into a laundry basket or box.